Ask The Readers: Should Kids Get Paid For Doing Chores? Home » Deals and Coupons » Giveaways » Ask The Readers: Should Kids Get Paid For Doing Chores? Editor's Note: Congratulations to Staycee, TrishB, and Julie for winning this week's contest! Simple chores like doing dishes and taking out the trash can teach kids invaluable life lessons. While most parents agree on the value of chores, they are somewhat divided on whether kids should be paid for helping around the house. Do you think kids should be paid for doing household chores? Is it a good way to teach kids the value of work? Or are you bribing kids to pull their own weight? What did your parents do? Share your opinion, and we'll enter you in a drawing to win a $20 Amazon Gift Card and a copy of Blacklisted from the PTA. We're doing three giveaways — one for random comments, one for random Facebook "Likes," and another one for random tweets. The three winners will each get a $20 Amazon Gift Card and their very own copy of Blacklisted from the PTA. 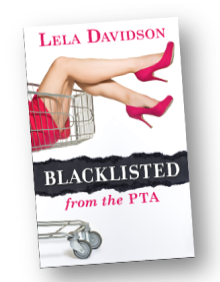 Blacklisted from the PTA is an exciting new book by Lela Davidson, the editor of our sister blog Parenting Squad. Filled with hilarious and irreverent stories of motherhood, the book is a great read for any parent looking for a belly laugh and sanity. It is already getting rave reviews! Contest ends Monday, July 18th at 11:59 pm Pacific. Winners will be announced after July 18th on the original post and via Twitter. Winners will also be contacted via email, Facebook, and Twitter Direct Message. My kids have regular required chores not tied to $, but they also do extra chores for which they are paid, depending on the size and need of the chore. My children have required chores that they do not get paid for such as making their beds, keeping toys picked up, and putting shoes away. When a child volunteers to do an icky chore--my 8 year old asked to vacuum out the minivan (! ), I did give her something for that effort. Chores are part of being in our household. I think that kids should have a set list of chores that they do for themselves and family without an allowance. It is just part of life. I do feel however that if they want to earn an allowance that there should be extra chores that are available for them to choose to do. Honestly, I struggle with this, even though we don't have kids yet. I think doing chores for money is probably a good idea if that's all the money they're given, because then it teaches them money management skills, and gives you an opportunity to teach about budgeting, saving, giving, and things along those lines, as well as work ethic and earning your pay with a job well done, not just half-heartedly done. I think that kids should have certain age-appropriate routine chores that they do without pay. If they are asked to do extra things or something that takes more time, they should receive pay. My kids are not paid to clean their own rooms or do their own laundry! I think people are divided because there are so many perfectly good ways to give your kids chores AND teach them about money. We don't pay our kids to do chores, that's just their responsibility as a member of the family. We do give them an allowance that we loosely explain is their "salary" for doing the job of being a kid which includes being a productive member of the family, helping around the house and working hard as a student. So we can dock their salary for bad performance, but its not a one-to-one relationship...just like Daddy's job isn't pay for individual tasks. The kids get their salary ($5/week for the 12 yr old & $2/wk for the 9 yr old) every two weeks just like Dad (on Dad's payday in fact) and they have 50% withholding. That means that every two weeks I give them $5 & $2 and I put an equal amount in their savings account. They think its silly and funny, but its teaching them how salaries work...and living on less. Plus they get PLENTY of money from holidays and can work odd jobs to earn more if they want. Just like if Dad were to take a second job for extra cash. No, I don't think kids should get paid for doing chores. I think that's simply the action of them pulling their weight, doing their part as a member of the family and no one gets paid for doing that ~ it's part of family life. However, I don't have a problem with kids earning money by taking on "extra" work above and beyond what is expected in daily life. My kids were expected to keep their rooms clean, pick up after themselves and take part in daily life by doing dishes, doing laundry, sweeping, dusting, etc. according to their age. But, if they wanted to tackle things that weren't their daily responsibility, they could do so to earn some spending money. They should be paid - giving them a bunch of chores with a line about "contributing to the family" won't incentivize them to want to do the chores. I think that, in the past, families were able to build a certain amount of a feeling of responsibility within the sons and daughters that truly allowed for chores to be "what we do to help the family". It was natural, in other words, that kids would have chores. You did not have to force kids to help out, but you could if you had to. Now, it seems, society has made it difficult to create this feeling of responsibility in children. We've created a society of entitlement in adults, and TV is teaching children that you need to have a reward for everything you do. I plan to have my children help around the house without pay because I feel is the responsibility of all of us that the home is healthy and cared for. But I also plan to teach them about money with an unrelated allowance, so that they learn fiscal responsibility. I do not think kids should be paid for chores. The family home is a team effort and you should not have to bribe them to shoulder their responsibilities. Teaching your children team work and that they are a vital member to the success of the family is of the greatest values. Now they should be given and allowance as a way to teach them fiscal responsibility and how to save for their own purchases, but it should not be tied to chores. This is one thing that I'm passionate about. Kids NEED to learn how to manage money. (Parents, if you are neglecting this part of their upbringing, you are not doing your job!) While giving them money for chores is good, I personally think that chores are something that each member of the family should do just because they are a member of the family and as a family, you need to work together for a common goal, whether it be clean dishes or cut grass in the yard. We have lived with the envelope system since we got married (you put the money you have to spend per person for the month in an envelope with their name on it and that has to last you the entire month). Our 2 children have always had envelopes and have taken over the spending of them for their necessities and clothes, with the leftovers for spending or saving for what they'll need in the future (our children are 9 and 11). They are learning to make wise choices and they understand the value of a dollar! I followed what my parents did. Kids shouldn't be paid for doing everyday chores. Mom and Dad are not paid to do them. It won't hurt their tender psyches if they are required to do their share of the work (appropriate to their ages , of course. You don't want your 3 year old washing the knives.) Extra chores (painting, cleaning out the garage, etc.) can be paid for. I think it's fine to give your kids a small allowance. It can be a good tool to teach them money management and the correlation between work and money. I thing kids should get a treat for a job well done, but not a "salary." I think chores should be a given in the household. Kids need to learn responsibility and, as part of the family, they need to be expected to participate in routine family life, including chores. An allowance should be given, but it should not be tied to whether they complete chores or not. I think that kids should be paid for doing chores. I think it teaches a valuable lesson on saving/spending and how much they have to do to earn enough money to pay for something else. My kids have learned that after earning their allowance they resist buying a bunch of small things while saving up for a large ticket item. I belive that children should have a set of assigned chores that do not receive any compensation, other than the food that they eat and the shelter and ammenities that they enjoy on a day-to-day basis. This helps teach the child the concept that each person is responsible for contributing to the family/community. Beyond that, I think it is fair and right to give the child some extra duties that can be done in exchange for pay. I don't believe children should be paid for "normal" chores such as making their bed, picking up toys, and putting dirty clothes in the laundry basket, however I do give my child a little money when they go above and beyond. I had a back injury and my daughter learned to start the laundry, folded it, washed dishes, vacuumed, etc. In that case, I did pay her, but she didn't know I was going to. It was a reward for doing extra work with a good attitude. As these things come up every now and then, or if there is more to do on a certain day than usual, I may say "If you'll help me out with this, I'll give you $(fill in the blank). We just started giving our two boys (5 & 6) money for chores. They have never been great at the everyday chores like cleaning rooms, making beds, etc. So, we made a chart of 4 daily chores. The goal is to get a "check mark" on each chore every day. When they go three days with complete checks, they earn a dollar. Not only will they learn to do their chores but also how to work for a buck. I never paid for normal chores as that is part of being a family but they could do extra things to earn a few dollars prior to actually having a job. Their were paid by performance, so having a good work ethic benefited them financially. Both of my children, started working or regularly volunteering at 13 years old. I believe this is why they have a good work ethic as adults. I believe children should get paid to do chore. Even adults are very reward centered. Having the payoff of even a small amount of money would help them get used to doing things they may not enjoy because they will eventually be rewarded. As a child I did not get paid for doing chores, and as a latchkey kid with an absent mother and no father, I had to do more than my fair share. I did not get an allowance of any kind. I was so determined not to bring kids up the way my mother brought me up that I never had any kids. I refused to subject little humans to the same as I received. I believe children ought to do chores they are physically capable of doing. It teaches responsibility, fosters the feeling of belonging in the family unit and also teaches the value of work/a proper work ethic. I also believe they ought to get an age-based allowance separate to their chores, and also receive a small payment for doing chores over and above their regular list. They ought to be taught about saving for their future needs as well as saving for a specific goal from an early age. Too many children - and adults - have no clue what it feels like to work hard for a day's pay, to pay their bills and save for a goal, reach it and buy the desired item/adventure/whatever. Too many parents leave teaching a decent work ethic and how to handle money either to chance or "somebody else" - instead or you know, actually parenting their children and teaching them properly. And I believe it all begins at home, at an early age, with chores and an allowance, lovingly administered, by parents who parent. I think that receiving an allowance for doing chores teaches kids right from the start some very important economic lessons about budgeting, scarcity of resources, and decision making. Even about failure as in - that ring pop was such a stupid decision. I say yes and no. No to being paid for regular chores - being part of a household comes with responsibilities. However, my mum had a great system for rewarding us for extra chores (things like weeding dandelions from the lawn, or cleaning silver, or organizing stuff for a yard sale) - we collected gold stars on a chart, and hitting a certain number of stars meant a big treat on our family vacation. Mum's system was great in that it was low-cost (for her), provided us with a keen and delicious sense of anticipation, and helped get all kinds of house-stuff done that might have languished because it wasn't a priority. When I have kids, I plan to do the same thing. In our house, my children ages 12, 7 and 5 have regular chores (a 15 minute chore each day that they have been known to stretch into a 2 hour chore!) that they do not get paid for. It's a rotating list of things that help their dad and I out, their contribution to the household. I don't get paid for unloading the dishwasher, taking the trash out or tidying up the mudroom so why should they? We then occasionally come up with "pay chores" where they can earn anywhere from 25¢ to upwards of $5 depending on the chore level (staining the fence was a $5 chore that I gladly paid to the oldest just so I didn't have to do it!) If they are doing a pay chore and doing it well with no complaints, they might get a bonus: hopefully teaching them that hard work pays off. If they are assigned a pay chore and don't like the pay or don't want to do it, tough luck, they might not get paid because of their crabby attitude but they still have to do the chore. No, I think a better model is to give kids tasks and pay them for a job well done. Similar to chores, but teaching kids how to set up a business or get paid for work teaches them better life skills. We don't pay our kids for chores exactly - but we do give them each $1 on Saturdays (they are ages 4 & 5) for what we call 'teamwork' in our house. If all week long they have been good sports about picking things up, putting laundry in the hamper, bringing their dishes to the sink, etc - they get $1 for teamwork. If we have lots of whining or crying or 'I don't want to pick up my toys' - then they know, that come Saturday, there won't be any 'teamwork bucks' earned...Works for us...for now. My parents never paid me for chores because they didn't have any extra money, knowing that their money was tight kinda taught me the value of spending wisely. I think it's ok to have a certain chore that your child gets paid for, but other chores that they must do for no compensation, e.g. you must pick up after yourself because that is your responsibility, and you must help clean up the kitchen because you are part of this family and it is everyone's responsibility. I think it's a great way to increase the interest of children in day - today activities, taking care that they will not take as bribe. Nice article. We were just talking about this last night. I think that some chores should be mandatory part of living in home with family, and others can be income-earning. No, children need a sense of responsiblity that is it's own reward. Kids should not be paid for normal chores. They should have responsibilities since their sharing the house. Extraordinary tasks might have a payment. We started paying our children for their chores at ages 8 and 12. They get their age amount weekly. It made a huge change for them. Prior to paying them, every time we were at the store they would try to get me to buy them something. After paying, they look at prices and will start saving their money until they have the amount, then ask me to take them back to buy the item. We have been strict in that if they don't do their chores, they don't get paid, or get deductions. As they have gotten older, they get a raise of a dollar on each birthday, so we are now at $15 and $11. Their chore lists have gotten longer and they know on certain occasions they may have a few extra items to do (holidays, family parties, spring cleaning). We have enjoyed seeing them become responsible with their money, they have learned to budget, and also learned if they spend it all, they have to do their chores and wait for the next week's payday! I don't think it's a bad idea to have whether you receive allowance tied to responsibility such as chores. Yes! It's a great way for them to earn money and not just get an allowance for doing nothing. It also teaches them money management. I think that paying children to do household chores is setting them up for disappointment. I'm also against giving children an allowance (I feel that it gives them a sense of entitlement). Growing up my parents never paid me or my siblings. As a matter of fact they had a job chart and we would rotate who did what job every week or so. This job chart had a picture of what the job was (dishes, bathroom, etc.) and there was a rotating color wheel - one color for each child (they assigned us colors, since we weren't old enough to read our names yet). No kids shouldn't get paid for chores. There's better ways to teach kids the value of a dollar aside for paying them do the responsible thing to pick up after themselves and be independent. Now if its extra work like mowing the lawn, or washing the car that's a bit different since that's not done everyday. I agree with most comments that kids should have required chores. That said, there should also be extra chores in which the kids can get paid or rewarded for doing them. Making your bed, required chore. Washing the car, possible payment chore. Letting kids earn some money for the satisfaction of learning the value of a dollar is sometimes more rewarding than the dollar itself. I never got paid for chores or got an allowance. I just had to do them. I think it depends on the kid and how the parents set up a responsibility and work/reward system. I have 4 teenagers, and they are all required to do chores on an as-needed basis. As in, I need this done, please do it. They aren't paid for chores, but their level of cooperation will definitely get more "yes" answers from me when they 1) want $$, 2) want to go out with friends, 3) want to do special things. If I get sullen stares and non-compliance when I ask them to do things, they get a "no" when they ask me. Kids should have their regular chores but be paid for extra chores. As a rule, I don't think that children should be paid for doing routine chores. But for tasks beyond the norm, a reward could provide them with some extra money. I don't think kids should be paid for chores. Chores should foster personal and family responsibility, and the sense of a job well done. Having to tend to their own needs (within reason) teaches them that things don't come easily and that personal property should be taken care of. I liked my parents' method. We had a lot of chores to do, and the pay was minimal. To have no pay would mean the kids have to ask you for everything they want and aren't really learning the value of money and hard work. To pay too much is spoiling them. For my parents, we earned monthly our age in dollars. For instance, if you were 11 years old, you would get $11/month. Then you could buy your own magazines, candy, CDs, etc. ANYTHING we wanted (beyond essentials or holiday gifts), we had to buy with that money. Today, I'm very frugal as a result (not to the point I deprive myself) and have never been in debt. Unfortunately, there are parents out there who just spoil their kids and don't even require them to do chores, or the chores are minimal. I think this is awful and is a huge reason for the "entitlement" society we now live in. Kids should learn how to do skill-level chores without being bribed, but then get allowance for things according to the family budget to teach them about frugality and finances. I think that children should be expected to help out around the house as being part of the family unit, and that they should receive an allowance also because they are part of the family and need to learn how to be responsible with money. I like Wise Bread on Facebook. I don't believe in paying for chores. I think some of them need to be viewed as family contributions, the same way that mom cooking dinner or doing laundry is. However, I do buy my daughter treats and things if her behavior has been good. These are always unscheduled rewards. She's still young enough that allowance isn't an issue. When she's older I can give her extra jobs if she wants to earn spending money. In my family we didn't get an allowance, but then I don't remember a structured chore system either. We did get "hired" by a relative on occasion to clean my bachelor uncle's house. I like the idea of having chores that are not tied to money; but they can earn by doing extra things around the house. Our daughter has regular weekly chores that she is "required" to do and optional chores that she can make extra money by doing. The idea being that she gets an allowance based on doing her required chores and can augment that if she does extra. If her mom or dad end up doing any of her required chores, predetermined sums of money are deducted from her standard weekly allowance. I think there are certain things kids should be responsible for regardless of whether they are paid, but they could get paid for additional work. We don't pay our 6-year old to do chores because we view it as simply being part of a family unit. My problem is that I struggle with actually asking her to do chores. I'm still in the mode where I do mostly everything myself, but I am working on correcting this both for my sanity and for her growth. When our daughter is older, we will give her the opportunity to earn money for what we consider "extra" jobs. Yes and no. Kids should have basic household chores that they are required to do just for living there. Their own laundry (when they are old enough), picking up after themselves, keeping room clean, etc. But then there should be extra household chores they can do to earn money. These chores should only be available after their other basic chores are done and only if the child is not grounded or otherwise in trouble. I believe kids should get paid for doing chores and that these chores should carry more responsibility the older they get.I have eight children and when they were all small, I gave them very little money but as they got older,the amount went up.As soon as someone got a part-time job,they got no allowance but still had weekly jobs to do for basic house cleaning to learn to balance work,school and spare time.The money I gave(give) for allowance is to be used by my children to buy some clothes,junk food,movie nights and other items they might like to buy and have to save for(ipods or mp3 players...).Though this system is not perfect,it has helped them learn much. If I had kids I'd give them an allowance, but if they neglected their chores or otherwise behaved badly they would lose it or have it reduced until they did made more of an effort. I'd keep both the chores and the allowance moderate. My own mom was kind of psycho in many ways, and I was expected to keep her house ridiculously clean. My childhood was pretty miserable and full of drudgery, I wouldn't want to duplicate that with my own children. Chores are a part of family life and should be required for pulling their weight! Allowance should be viewed as a gift for the same reasons. My kids get paid the same amount I do for taking care of the house..... zero!! My husband and I decided a long time ago that I would stay home with the kids and I have been blessed to be able to do that for several years now. Because of this choice, our budget is very close. So along with a tight budget and the belief that helping around the house is something that you have to do in life, we have chosen not to give our kids an allowance. A clean home and clothes is payment enough for all of us!! I believe kids should not get paid for chores. Chores teach them so many things, especially how to take care of themselves when they grow up. No one pays me to do the dishes, vacuum, or make my bed as an adult. I get paid for doing my job. I believe in paying for extra things beyond chores. Such as mowing the lawn, washing the car, and racking. We have set chores that our 13 year old son has to do that is not tied to any monetary value. When he does extra chores to earn money, like mowing the yard, we have a rule he has to go by. He is allowed to spend 50%, has to save 25% and donate the other 25% to the church. We have three envelopes and he keeps up with the money! My 11 year old daughter has some chores that are required and she is not paid for those, but extra chores like cleaning mom's car or extra things she does get paid extra $. She gets a regular allowance every month as well. Now when the child grows up and reaches their teen years and would then (hopefully) have a much better understanding of money and budgeting, then they can begin receiving a weekly allowance of $10-$20. There are certain things they do and not get paid for just because those are things that people naturally do, ie put your dishes in the dishwasher when you are done eating. However, for chores, yes they should get paid to learn the value of money. They SHOULD NOT get an allowance, where they get paid the same about every week. That's teaching them the wrong way to get money. Kids should get a commission. If they do the chore, they get paid. If they don't do the chore, they DO NOT get paid. Children NEED to understand that WORK=MONEY!!!!!! That's how it is in the real world. NO!!!! They should NOT get paid to do chores around the house. They live, eat and sleep there and should be required to help out. When I was growing up, I didn't even receive an allowance and was required to take out the trash, wash dishes and when I got a little older, mow the lawn. Kids today have it easy; they do NOT respect their elders and expect their parents to do everything for them!!! I agree with others -- I think that regular chores should not be done for money, but opportunities to go above and beyond should be rewarded. Plus, it's a good way to instill a hard work ethic and an appreciation for money. In my opinion, kids should not be paid for chores. Chores are just a part of life and to help make the family dynamics run smoothly, they just need to help out. However an allowance will teach children how to be financial responsible, my kids (10, 7, 4, 2) getting 1 dollar per year. (example: My 10 year old gets $10 per month). My 10 & 7 year old are required to put their earnings in four separate funds: Tithe 10%, Long Terms savings 40%, Short Term Savings 20%, and spending 30%. Younger Children only tithe and have spending money. I'm a firm believer that kids should have set chores with no pay to help them learn responsibility. It's too easy once they get older for them to say they don't care about the money and just won't do the work. When they're old enough, I plan to give my kids an allowance that is kept separate to help them learn about budgeting. I'll probably also set up a system where they can do extra chores for money as well. No, I don't think kids should be paid for doing chores. I feel everyone who lives in the house should chip in to keep the house running. I think it's good to teach children how to do household chores and to reward them for doing a good job. It teaches responsibility, a little money management, some valuable home maintenance skills (which will come in handy when they have a home of their own), and perhaps even helps motivate them to find ways to earn cash outside of the home as well. The problem may arise that they won't do anything unless you pay them. But if you have good communication skills and your kids aren't complete hustlers, that shouldn't be an issue. Left a comment on Twitter. I don't believe kids should be paid for chores that are expected to be done everyday. I believe in paying children for household chores. This shows them the process of: do work, get paid. I also think that parents should take a small percentage as a "tax." eg. 10%. Then take this "tax" away and add it a savings account for school. This is a great way to add to a child's savings without breaking your bank! I also believe in doing the same for older students who have part-time jobs. Only at that point I'd call it a "rent." This not only adds to their schools savings without them doing much, but also gets them into the habit of budgeting and realizing that the tax man is going to dip his hand into your funds. sure, why not? i give my daughter a small allowance for helping out around the house. it prevents children getting used to having things handed to them on a silver platter. I like the way that my parents handled this when I was growing up and plan to emulate them. Some chores were expected, like taking out the garbage every night and emptying the dishwasher, but others could earn me a little extra money, like cleaning the bathrooms every weekend.